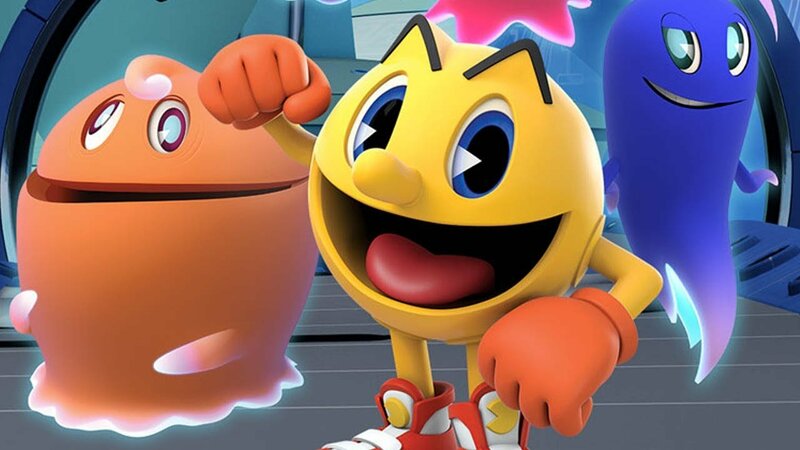 Let’s be honest, Pac-Man isn’t what he used to be. At one time, that little yellow ball of arcade-goodness was the face of the entire gaming industry before a certain Italian plumber took that spot. It’s not like publisher Bandai Namco hasn’t tried to revive the character. He’s been rebooted, retooled, brought back to basics and dabbled in multiple genres. Each title has varied in success and quality, but he’s still kicking around. 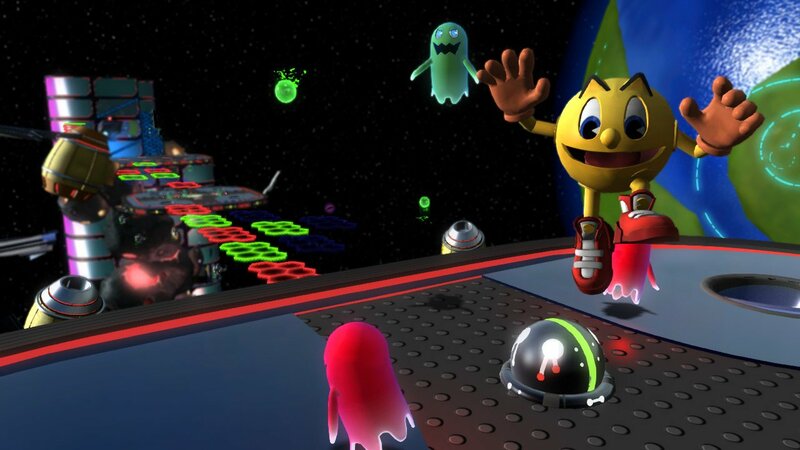 That’s where Pac-Man and the Ghostly Adventures 2 comes in. This is the latest entry in the re-Pac-aging of the series developed by Monkey Bar Games based off a kid’s show. It mixes the old with the new, but ultimately it’s as good you’d expect it to be. The game isn’t broken, it just lacks any originality, functionality or polish. Players are dropped into Pac-World (cringe) where the evil, Lord Betrayus plans a hostile take over of the land. But he’s reminded it didn’t go very well the last time he tried, so he comes up with a new scheme. Get Pac-Man to join him. This leads the super sphere on an adventure to stop Betrayus while being strung along the whole time. It’s not that bad of a plot for a kid’s game. But the characters are horrendously annoying. For one, they gave Pac-Man the Miles “Tails” Prower treatment by giving him the voice of a 12 year old. His friends are Inky, Blinky, Pinky and Clyde—who were his archrivals for the better part of 30 years, and the new characters are just unlikable. Betrayus and his servants were fairly entertaining though. He’s a zany over the top evil genius like Dr. Eggman or Dr. Wiley just without the PhD, while his savants are dull, dry witted ghosts. They actually made me laugh once or twice. So it’s not like everyone is completely hateable. It really feels like a Saturday morning special. It’s one of the few things the game does right. To compliment the cartoon story, the art style looks like it’s straight from the show. Everything is presented really well, from the big backdrops, to character models. There are still random spots that appear a little blurry, or jagged. Aside from that, there is some nice presentation. But at times, it comes at the cost of gameplay. This is the biggest issue with Pac-Man and the Ghostly Adventures 2. While it looks nice, the frame rate just drops. It gets to the point where some parts are almost unplayable if there are too many things on the screen. Frame rate wasn’t the only issue though. Pac-Man never feels right. He always takes one more step than you anticipate, his jumps are heavier than he feels and the controls are unresponsive at times. The vehicle levels feel similarly slippery. Mix that with a fixed camera that catches the most awkward angles, and there are a lot of cheap deaths. That doesn’t really matter though because, the game is terribly easy and you stock up on extra lives like they’re on sale at Costco. At one point, about half way through the game, I noticed I had 75 lives. So there is never a real sense of challenge. It’s also really bland. There’s a hub world to explore, but it doesn’t really offer much. There aren’t any real secrets or meaningful collectables. It’s more or less a place to talk to characters you won’t see throughout the game. You access the levels through a computer that takes you to a Super Mario Bros. 3 like map (but less interactive) to go from level to level and world to world. 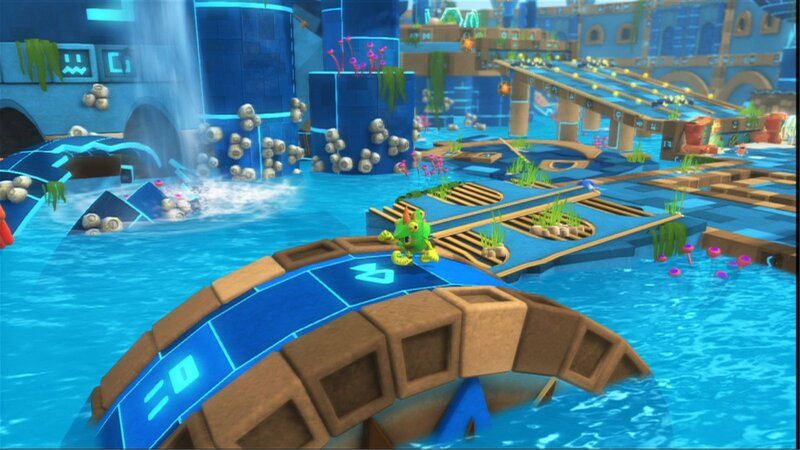 There’s nothing connecting each stage aside from a common theme like Pac-lantis (still cringing), or outer s-Pac-e (I made that one). But the levels all run together. The only thing that really differentiates each stage is the power ups needed to get through them. There’s a magnet upgrade that let’s you walk upside down, a chameleon suit that gives you the power to use your tongue to reach poles, or one that turns Pac-Man into a giant concrete ball of terror. There are more, but those stood out. Despite the variety, eventually you cycle through them so frequently that the powers lose their lustre, and the levels don’t stand out anymore. The generic the soundtrack doesn’t help either. It’s not bad, but it’s not really catchy either. Add in the fact that it’s on a loop, and the music is actually more annoying than anything. They sprinkle some nostalgia with the sound effects. A “wagga” here or a ghost eating power up sound there makes the experience a little more bearable, but it doesn’t make it fun. They more or less remind you of the better days. That’s the whole game essentially. Some nostalgia sprinkled over an unpolished mess. It’s not a bad experience, but it’s not really good either. 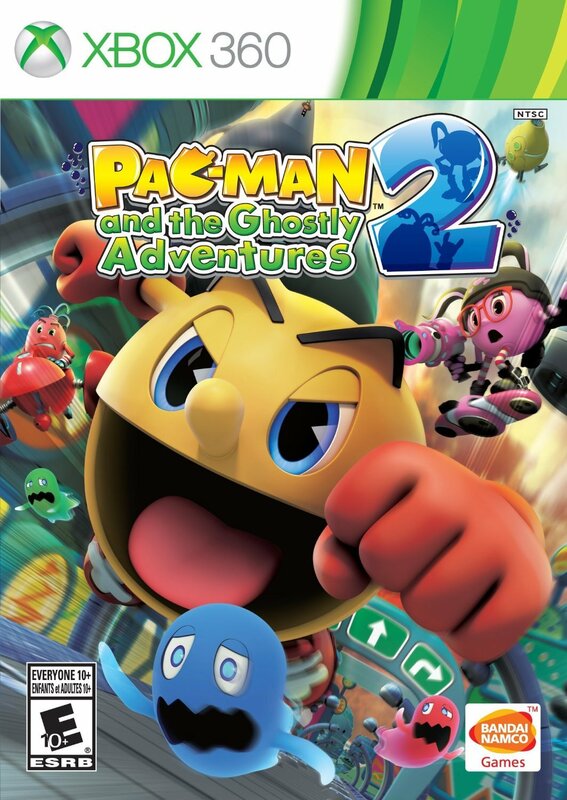 Overall, Pac-Man and the Ghostly Adventures 2 offers nothing to really revitalize the series. But to kids who like the show, and might not remember how great the yellow sphere was it could be worth the time. To everyone else, it’s just another sub-par game featuring a relic from another time. 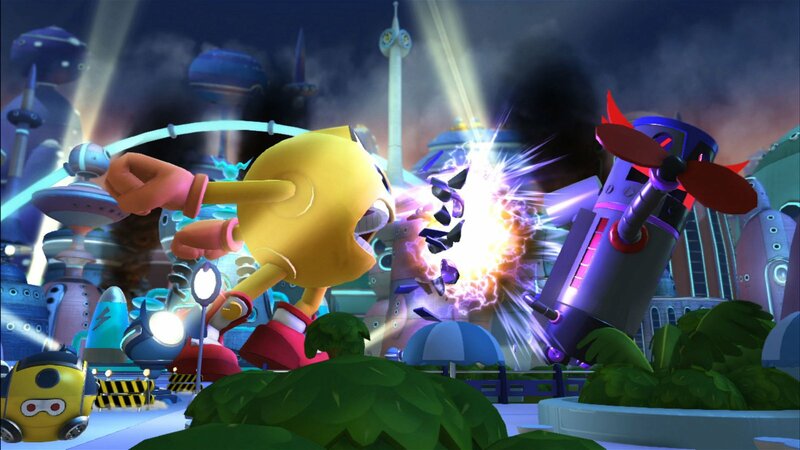 This is the biggest issue with Pac-Man and the Ghostly Adventures 2. While it looks nice, the frame rate just drops.